For over 40 years Boyar’s Kitchen Cabinets has been satisfying San Diego homeowners with our top quality products and professional refacing expertise. You can enjoy a dramatic transformation in your kitchen in only 3-5 days! Check out our testimonials and see how our customers have benefited from Boyar’s cabinet refacing. Interested in getting a free estimate? Give us a call at (858) 549-2000 or (800) 300-3997 toll-free. 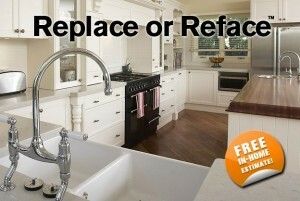 We are very happy with service rendered in completing a kitchen cabinet reface in a rental property. During the initial consult Melissa informed me that with their promo, we could get upgrades to wood materials and silent close features. When visiting the showroom to see the door samples, I was introduced to the owner. The entire process stayed on schedule with a beautiful result. The skill level of the installers, Hector & his son, Hector, was impressive, plus they are really nice guys. The smallest details were expertly completed. We always attempt to do business with a locally-owned companies and we highly recommend Boyar’s. I recently had the cabinets in my kitchen and two bathrooms refaced by Boyers Kitchen Cabinets. From the very beginning Boyers was great, the sales person Melissa came out to my home and walked me through the process, Melissa gave me several recommendations of things to do to give me the contemporary look I wanted. When I told Melissa that I was getting another estimate from a company I had used in the past she went through exactly what Boyers was going to do and what products they would be using so that I would compare apples to apples. Melissa was very confident that Boyers would be less money and would provide a better finished product than her competitor….she was right. Boyers stayed in contact with me throughout the production phase, updating me as to installation dates frequently. My installer Jerry couldn’t have been more professional or more meticulous. Jerry was on time each day and always cleaned up at the end of the day. Jerry patiently answered my questions and explained what he was doing through out the install. Jerry said that he liked to make sure the job was done as if it was his own house and you could see that he was serious. My cabinets were completed in 3.5 days and at least 2 weeks sooner than what I was told at the time of the estimate. I Have been involved in the Real Estate industry for nearly 40 years and I can honestly say that Boyers is one of the very top contractors that I have dealt with. I would highly recommend then if you are thinking about a cabinet makeover in your home. When I first spoke to Melissa she assured me that we would be very happy with re-facing our cabinets and boy was she right. When I first met Melissa at my home she was on time, friendly, thorough and new exactly what she was talking about. I wanted to update my kitchen with a contemporary white cabinet and she brought a sample of exactly what I was looking for. The installers were very professional and neat. Once my cabinets doors came in It took about 3 days from start to finish. When I go home each day they had their equipment stored very neatly and never left a mess! If you are looking for a company to do your kitchen cabinets I highly recommend Boyar’s Kitchen Cabinets to do a great job! Melisa Perez was the Project Manager for our kitchen project. Once all the selections were complete for our Kitchen Melissa worked with us to set a date to begin the installation. We refaced all the cabinets, replaced the countertops, and replaced all the appliances. The workmanship on the cabinets was extraordinary, coordination between the cabinet installers, the appliance installers, the electrician and the Plummer were terrific. The job was completed on time and within budget. Considering the amount of work that was done, this was an amazing accomplishment. We could not be happier with the results. 5 Stars. Melissa kept her word on timing and there were no surprises. I wish all my projects went as smooth as this one. All their people that worked in my home were totally professional and considerate. A big thanks to Boyar’s. Great company to work with. Had my cabinets done over 10 years ago & had a hinge break. Called them to find out a part # so I could order a replacement online @ Amazon. Gladys sent 2 out at no charge!! How’s that for good customer service? Have loved my cabinets through the years. Will use the again & refer to all who ask. …On behalf of my wife and myself, I would like to thank your company for the work that you did towards improving our kitchen. The process was much smoother, very efficient and much less disruptive than what we had expected….